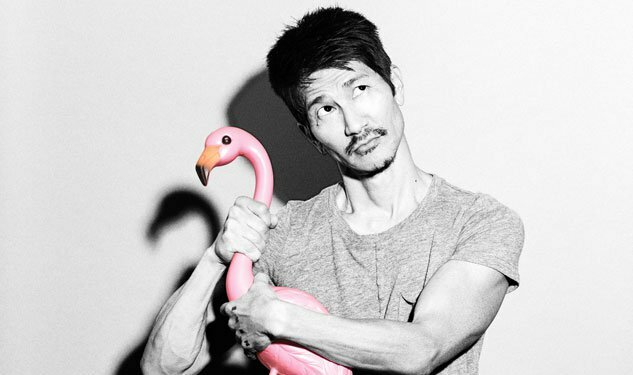 Gregg Araki was born today, December 17, in 1959. He is an American filmmaker involved heavily with New Queer Cinema. His film Kaboom was the first ever winner of the Cannes Film Festival Queer Palm awarded in 2010. Araki was born in Los Angeles and grew up in nearby Santa Barbara, California. Araki made his directorial debut in 1987 with Three Bewildered People in the Night. With a budget of only $5,000 and using a stationary camera, he told the story of a romance between a video artist, her sweet-heart and her gay friend. Two years later, Araki followed up with The Long Weekend (O' Despair), another film with a $5,000 budget. His third film, The Living End, saw an increase to $20,000. He had to shoot his early movies often spontaneously and lacking proper permits. Despite the financial constraints, Araki's films received critical acclaim. He received awards from the Locarno International Film Festival and the Los Angeles Film Critics Association, with an additional nomination for a Sundance Film Festival award. Araki's next three movies — Totally Fucked Up, The Doom Generation, and Nowhere — were collectively dubbed the "Teen Apocalypse Trilogy." The trio has been characterized as "... teen alienation, hazy sexuality and aggression." The trifecta saw Araki work with increasingly more notable actors and actresses including Rose McGowan, Margaret Cho, Parker Posey, Ryan Phillippe, Heather Graham, and Mena Suvari. Araki's following film, Splendor, was both a response to the controversy surrounding his ongoing relationship with actress Kathleen Robertson (despite identifying as gay) and an homage to screwball comedies of the 1940s and 1950s. Following a short hiatus, Araki returned in 2004 with the critically acclaimed Mysterious Skin, based on the 1995 Scott Heim novel of the same name. This marked the first time that Araki worked with someone else's source material. Araki's next feature was the stoner comedy Smiley Face, featuring Anna Faris, Adam Brody, and John Krasinski, written by Dylan Haggerty. It marked a stark change from the dark, heavy drama of Mysterious Skin, a change purposely planned by Araki. It received very favorable reviews, with some describing it as another of Araki's potential cult classics. Araki has previously self-identified as "a gay Asian American." Contrary to the statement, beginning in 1997 he had a relationship with actress Kathleen Robertson, whom he directed in Nowhere. The relationship ended in 1999. Araki has since mainly dated men and now reportedly identifies as bisexual.